Objections addresses both the human side of dealing with the fear of rejection while offering innovative, modern techniques for getting past NO. Jeb Blount hits you with the cold, hard truth about what's really holding you back from closing sales and reaching your income goals. Then he draws you in with examples, stories and lessons that teach powerful human-influence frameworks for getting past no — even with the most challenging objections. 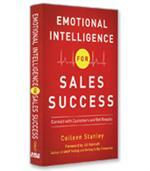 Sales is a potentially lucrative profession. But before you reach that promised land, you must face massive rejection from prospects who have no interest in what you are selling. 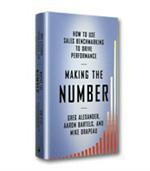 Most sales-management books attempt to downplay the rejection problem by making it a numbers game, without addressing the real emotions involved in getting the proverbial door slammed in your face day after day. 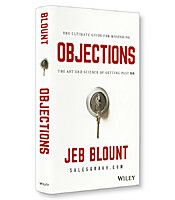 Jeb Blount’s new book, Objections: The Ultimate Guide for Mastering The Art and Science of Getting Past No, takes a different approach. The starting premise is that humans are hard-wired to fear the pain of rejection. Unsuccessful salespeople manage that fear by avoiding it altogether. There is no “spoonful of sugar” to make objections more palatable with this approach. They are inevitable, no matter your location, your market, your product or service, your sales cycle or your sales experience. Recognizing this point is an important first step, but Blount goes to great lengths to illustrate that this is also the point where most sales training goes wrong. Just because objections are universal does not mean that they can be addressed by one-size-fits-all scripts and prepared responses. The gravest error, Blount argues, is treating objections as if they only occur at the close. In that instance, the salesperson is doggedly persistent in getting an appointment, carefully matches the features and benefits of the product or service to the prospect’s pain points, and only faces objections when it’s time to sign on the dotted line. Prospecting Objections –– where you are brushed off before even getting an appointment. Red Herrings –– where an irrelevant topic is introduced to divert attention from the core agenda. 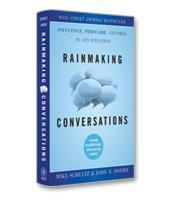 Micro-Commitment Objections –– where prospects evade the next step in the sales process. Buying Commitment Objections –– the moment of truth for closing the deal. Identifying where objections are likely to occur in the sales cycle may help you to prepare for them, but it probably won’t make them sting any less. That emotional response overrides all logic. You know it’s just business, but it still feels very personal. Blount proposes that the emotional response is a reaction to your perception of events rather than what’s actually happening. If the prospect is offering objections or asking questions, that’s a sign of engagement in the process. Rejection would be a statement that the meeting is over and/or a slammed door. Objections can be “signs of confusion … risk aversion, cognitive overload and the fear of change.” None of these represent a rejection of you as a person. They are signs that the prospect is engaged but needs more time and/or information. Of course, putting these objections in context and re- characterizing them won’t change your emotional reaction. If someone declines to say “yes!” when you think they should, the extent of the emotional reaction to that remains in your control. Sales trainers may encourage you to “develop a thick skin” or “let it roll off your back,” but that is easier said than done. What Blount’s approach offers is cold, hard truth. Objections aren’t fire-breathing dragons or insurmountable walls. They are predictable questions that should be prepared for with the same dedication with which you investigate your prospect’s unique needs. Objections pulls no punches in addressing objections as being a universal sales issue. Instead of offering manipulative tips and techniques for getting around them, the author focuses on understanding where they come from and when. Using real-life examples, Blount demonstrates the power of understanding the contextual framework of specific objections at precise points in the sales cycle and addressing each one head on.